The design of Cassegrain Telescopes (a catadioptric telescope) was first proposed by astronomer & lens designer James Baker in 1940. 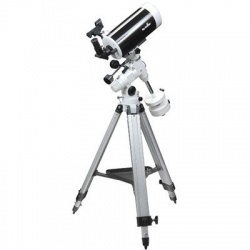 Cassegrain Telescopes combine many of the best features of the refractor and reflector telescopes. 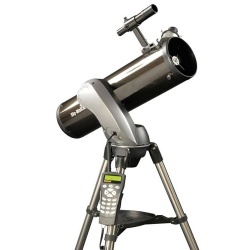 The Schmidt–Cassegrain design is popular with consumer telescope manufacturers such as Celestron & Meade because it combines easy to manufacture spherical optical surfaces to create an astronomy telescope with the long focal length of a refracting telescope but with the lower cost per aperture of a reflecting telescope. 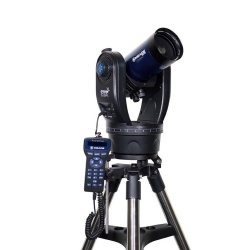 Cassegrain Telescopes are generally compact in design and offer a portability that some other types of astronomy telescope just can't offer. 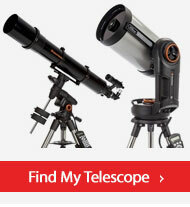 Popular models include the SkyWatcher Skymax, Celestron AstroFi & Celestron NexStar ranges. Cassegrain telescopes have an optical design that uses a combination of a concave mirror and a convex mirror to collect and focus light. We have Cassegrain telescopes available to buy online in two variants of the design: Maksutov-Cassegrain telescopes and Schmidt-Cassegrain telescopes. 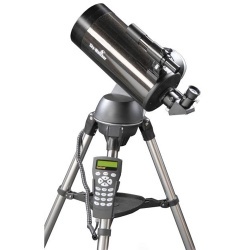 A number of our Cassegrain telescopes are GoTo telescopes which makes locating planetary objects and constellations as easy as pushing a button! 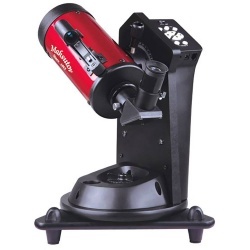 Celestron and Sky-Watcher produce a number of high quality Cassegrain telescopes that are ideal for both beginners and astronomy enthusiasts and we are excited to stock them (and provide free delivery in the UK) for our customers. If you are having difficulty choosing the right Cassegrain model for your needs please just get in touch with the PicStop team and we will be happy to help.